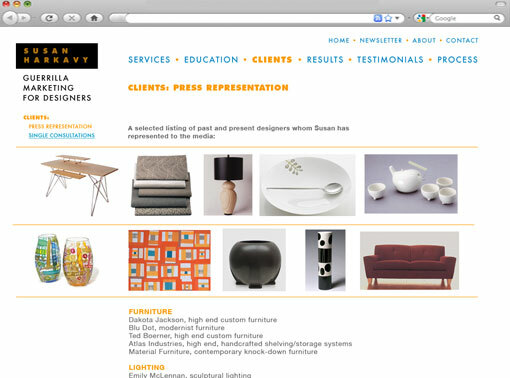 Susan Harkavy is a public relations consultant in New York City, specializing in contemporary design, home furnishings and lifestyle promotion. 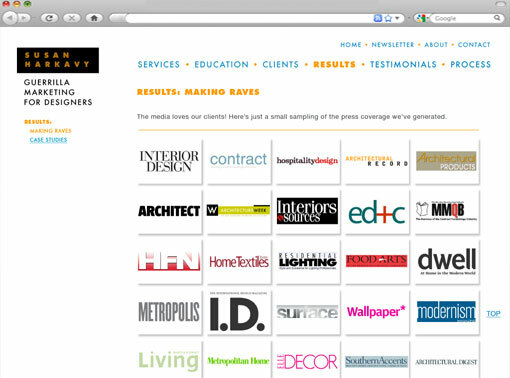 She has more than twenty years’ experience in the industry. But she is also a guerrilla. Not a gorilla mind you, but a guerrilla marketer who uses her acumen to promote her designers in a savvy, effective way. She was seeking emotional resonance, lightheartedness, warmth and humor, balanced with the message that she was responsible, experience and a professional. 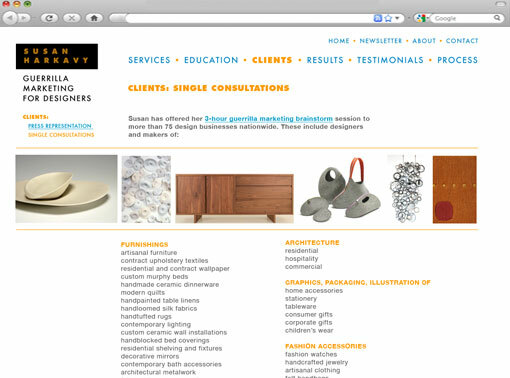 We incorporated photos of her clients’ products, hinting at what her stable of artists was about and informing first time visitors that her business was about design. Our use of white space was effective in highlighting her expertise. 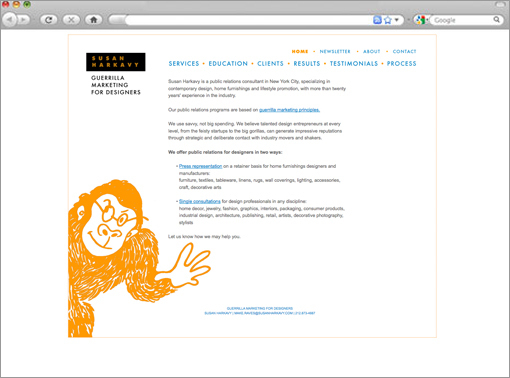 We introduced her mascot gorilla, Madison, to add a whimsical element to the site.